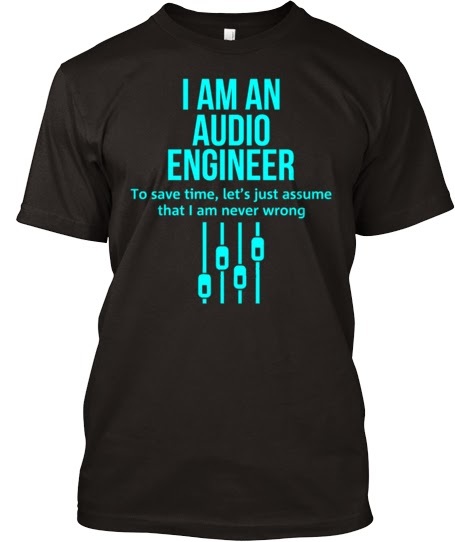 Okay, today I was browsing around on Facebook and I saw a picture of this great T-Shirt for all Audio Engineers. Check it out. Maybe there should be a "Canadian" version also.